The unpaid nature of the suspension will be back-dated to March 4, the day Baer took a leave of absence in the aftermath of the video which depicted him pulling his wife Pamela Baer to the ground during an argument and attempting to wrestle away a cell phone from her hand. In addition to the suspension, Baer will have to “undergo an evaluation by an expert to determine an appropriate treatment and counseling plan,” and is prohibited from having any involvement in the running of the Giants organization until his suspension is up. 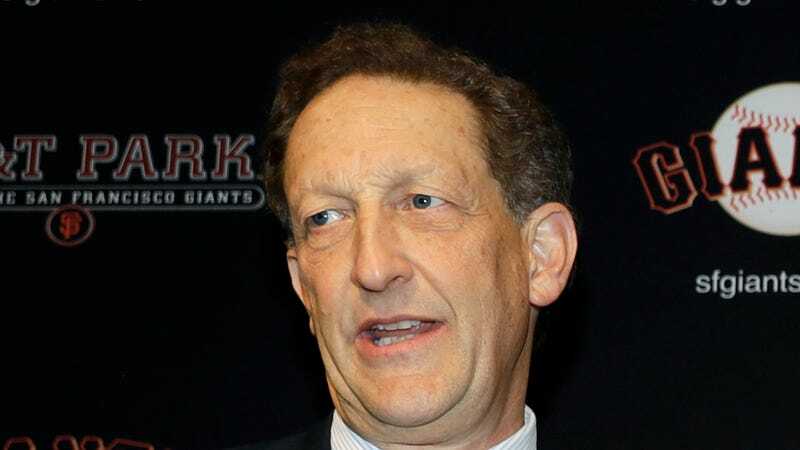 The Giants’ ownership group released a statement of their own, which is actually the more interesting of the two. Baer is currently the Giants’ official “control person,” which basically makes him the face of the team’s ownership group and the team’s official representative in MLB meetings and votes and the like. MLB’s suspension includes a provision that strips him of the control person role for the duration of his suspension, but the ownership group’s statement clarifies that it will look for a new control person to replace Baer permanently as well. Baer will, however, retain his role as CEO and president when his suspension is up. Baer himself released a statement today through the team in which he expressed his acceptance of MLB’s discipline. “I made a serious mistake that I sincerely regret and I am truly sorry for my actions,” Baer wrote. “I will now immediately begin the significant work ahead of me to listen and learn from my mistakes and to seek professional advice.” Local police announced last week that Baer will not be charged criminally for the incident.